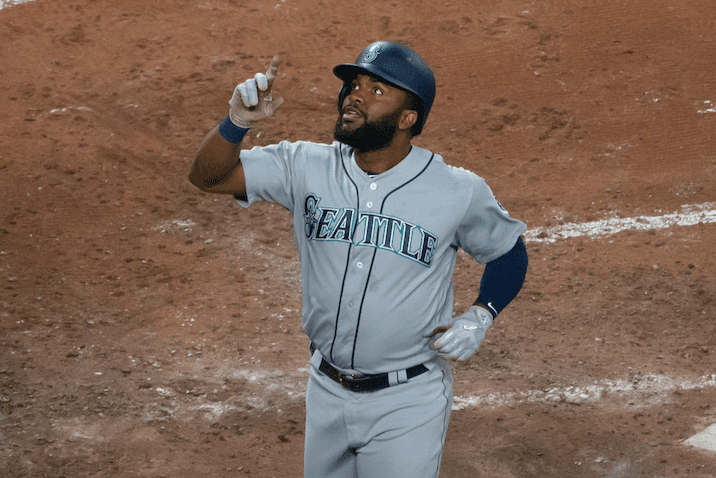 Denard Span is a centerfielder with the Seattle Mariners. He was traded to Seattle on May 25 from the Tampa Bay Rays as part of a four-player deal. He was selected in the first round of the 2002 MLB Amateur Draft by the Minnesota Twins out of high school at the age of 18. After six years in the minor leagues, Span made his debut in April 2008 at the age of 24. He would play five seasons with the Twins from 2008-12 before being traded to the Washington Nationals, where he would play three more seasons. In January 2016, he signed as a free agent with the San Francisco Giants, where he’d play two more seasons until being traded in December of last year to Tampa. Span is red-hot right now, hitting .351 in the month of July as the Mariners look to stay in the hunt for a playoff berth. Near and dear to Span is his foundation, the Denard Span Foundation, whose mission is to serve and empower single-parent homes. The foundation is dedicated to creating strong sustainable home environments where both parents and children can thrive physically, emotionally, financially and spiritually. On this episode of the podcast, we talk to Span about his desire to give back and help those in single-parent homes, being traded in the middle of the season, the biggest difference between playing baseball at 24 compared to 34, why John 15:5 is his favorite Bible verse, and how he continues to trust in the Lord during a long MLB season. You can follow Denard on Twitter @ThisisDSpan and Instagram @DenardSpan.